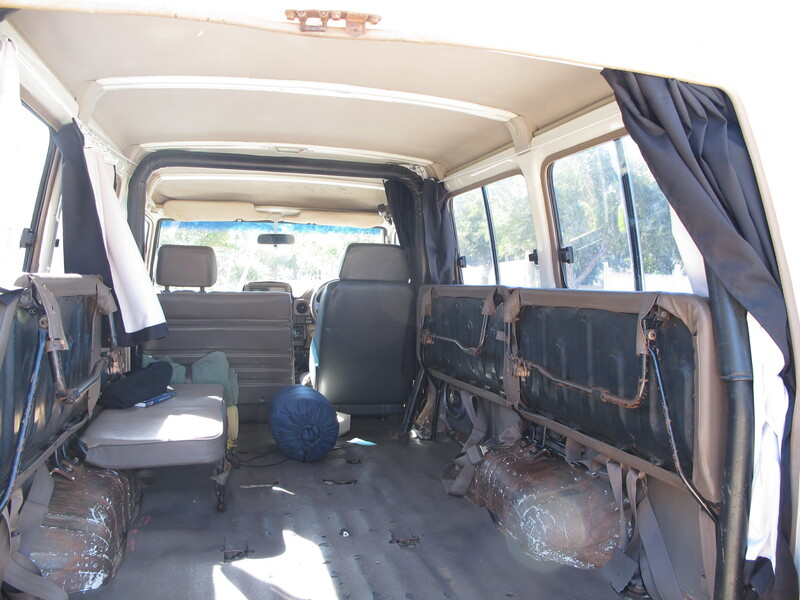 As I travel around Australia I will need to be able to sleep in the ‘cruiser and store items in it out of sight so I made some curtains to cover the 4 side windows, the 2 back windows and to divide the front and back. The initial steps that I took was to measure up the windows. 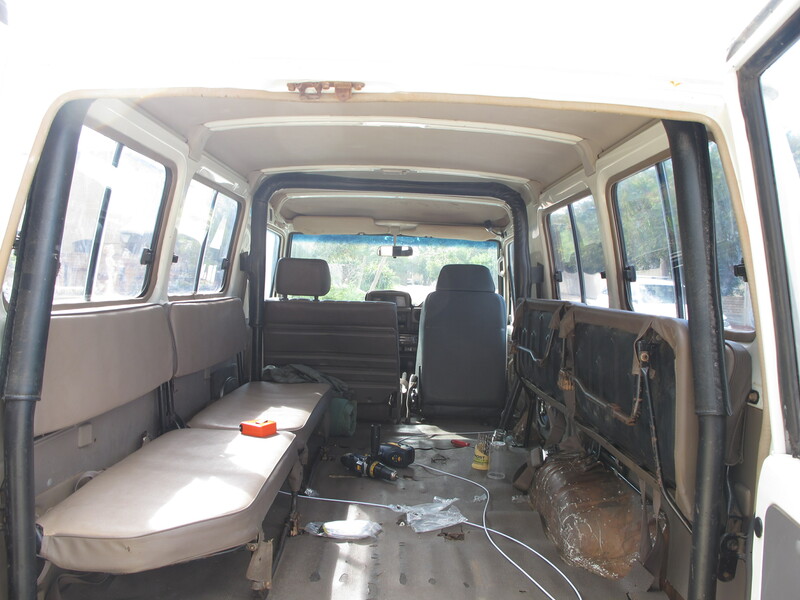 The 4 side windows come in at 860x450mm, the back windows are 460x550mm and 640x550mm and the divider is 1300x1250mm. 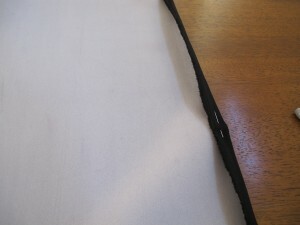 After scoping out the local material supply store (A guy gets interesting looks when in a sewing/fabric store in hiking boots, jeans and a singlet) I settled on 3m x 1.4m of 70% blackout black curtain material. 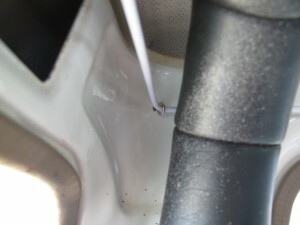 Thanks to their lacklustre measuring ability I ended up with closer to 3.5m, which came in handy. 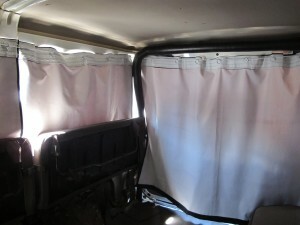 The side curtains were made out of 4 lots of 700x1000mm pieces of fabric, the back curtain was made from a 1400×1200 piece. 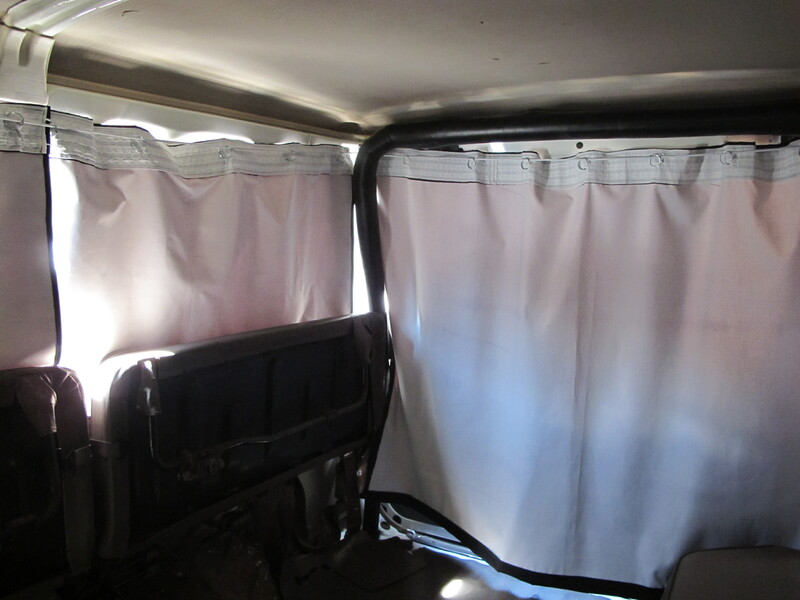 The divider curtain was made from leftover black fabric that I had and came to 1300x1200mm. 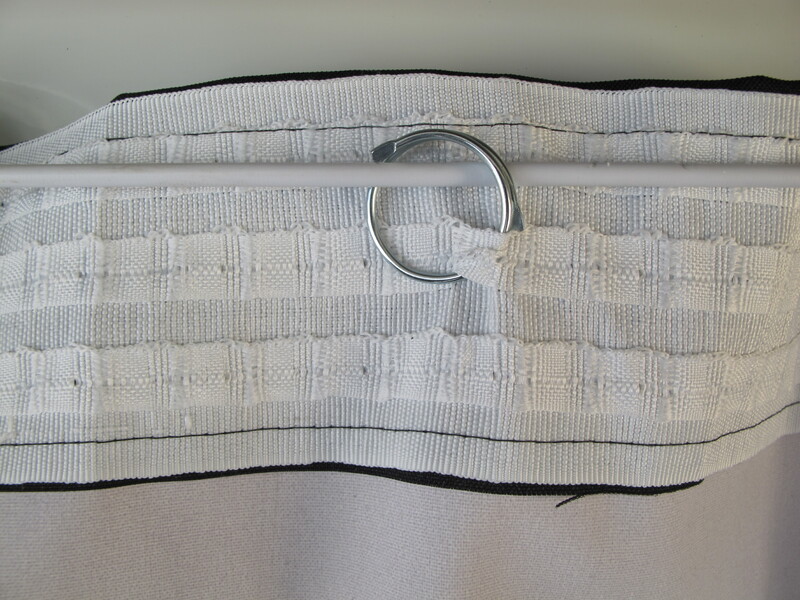 The curtains were hung on spring curtain cord with one 5m length covering the side the windows and back door and another 1.3m length covering the divider. The cord was anchored to the chassis on the roof supports, underneath a plastic cover and eye hooks installed in the back corners of the roof. 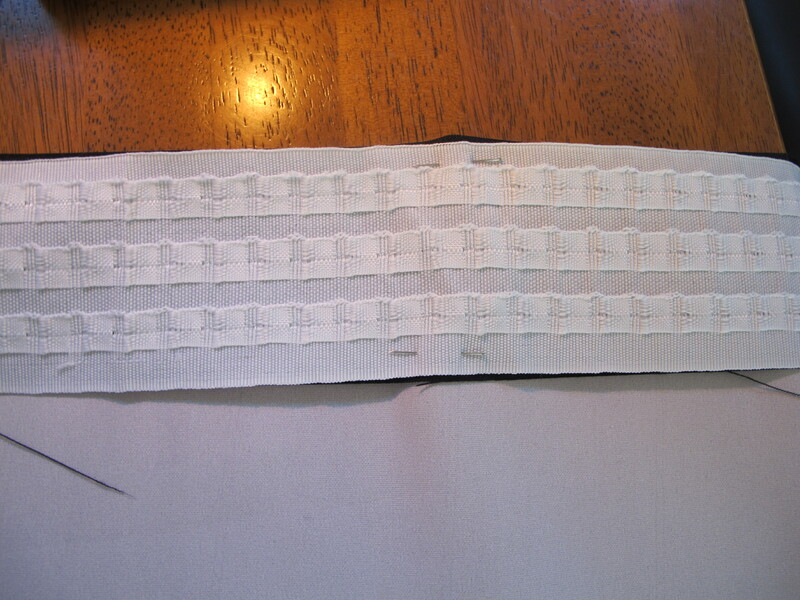 The curtain material was initially cut to the required sizes, the back curtain being shown below. 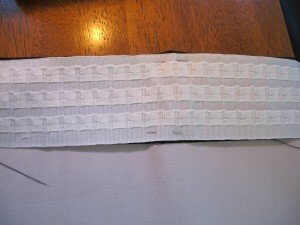 A hem of 10mm was marked on the sides and pinned for sewing. 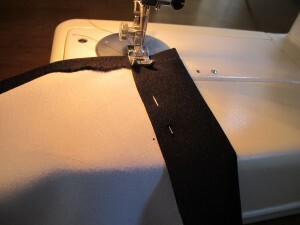 Once the side hem was sewn, a bottom hem consisting of 40mm was pinned and sewn. 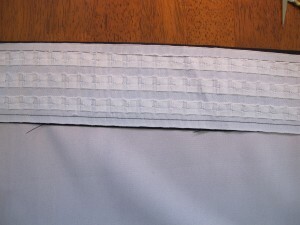 The bottom hem was then folded over again to provide some more weight and took the total hem size up to 80mm. 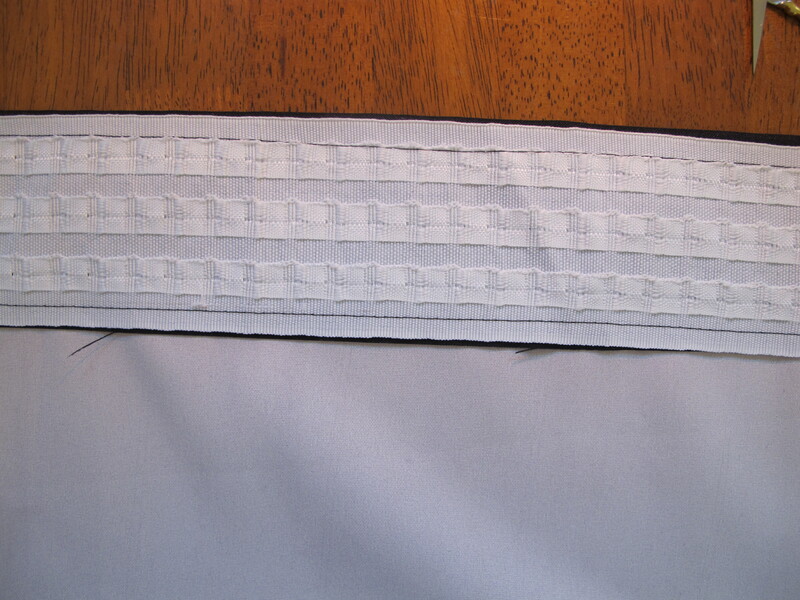 The top hem was made to the same width as the curtain tape, which was then pinned and sewn on both sides. 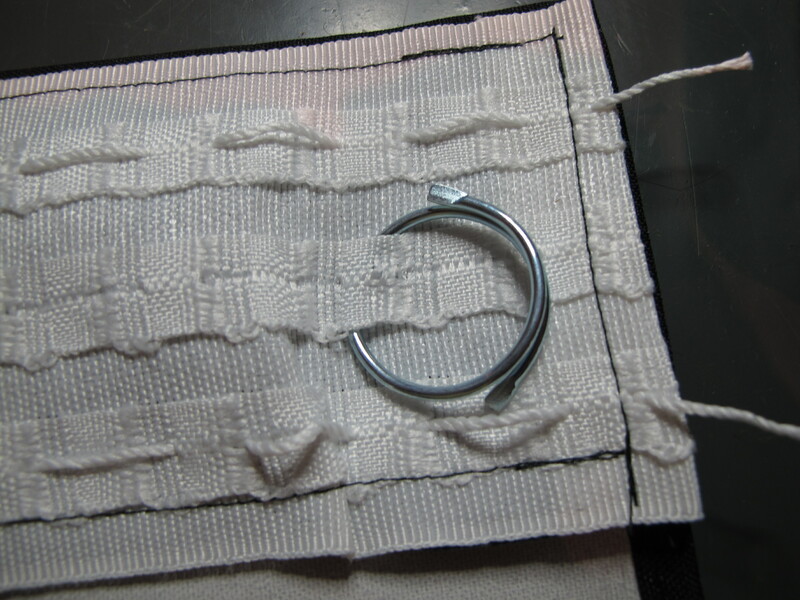 Curtain rings were then threaded into the tape, ready for hanging. 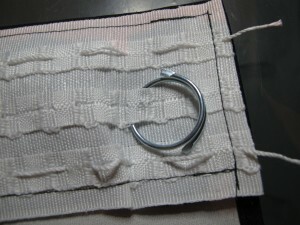 I used 9 rings on the large curtains and 5 on the side window curtains. 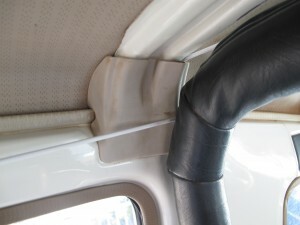 The curtain tape that i used was designed for gathering at the top (the 3 strings in the photo above). As I hadn’t made the curtains for gathering the strings were removed before installing them. 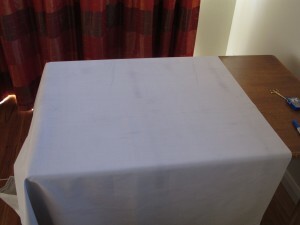 The other curtains were made in a similar fashion, with the same hem sizes. 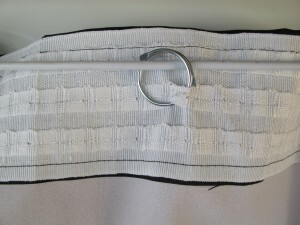 To attach the curtains it was a simple matter of threading the rings onto the rail. 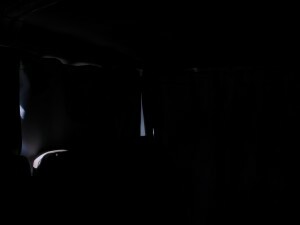 With all the curtains drawn it is quite dark in the back, even in full sunlight. 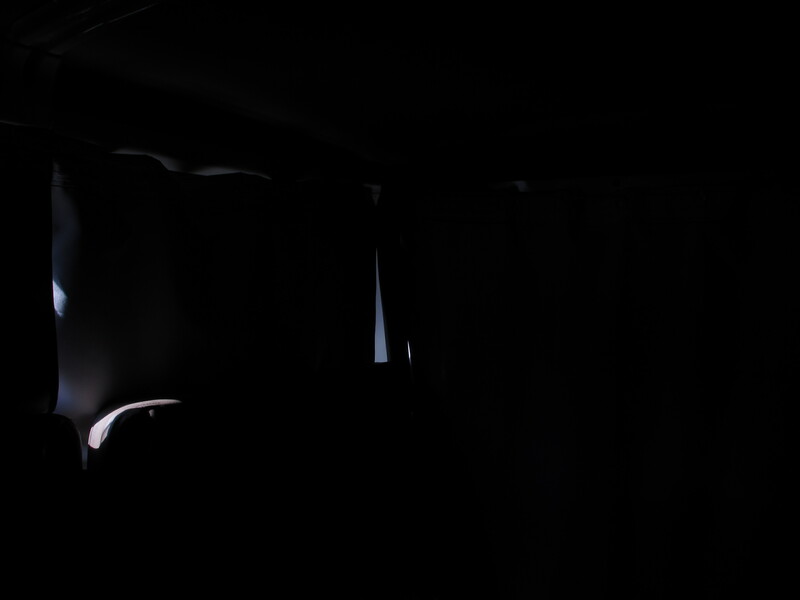 The following photos were taken at the same exposure and shutter speed to give an idea of how dark it is. Success! I recon that I could sleep in that amount of light with no problems. 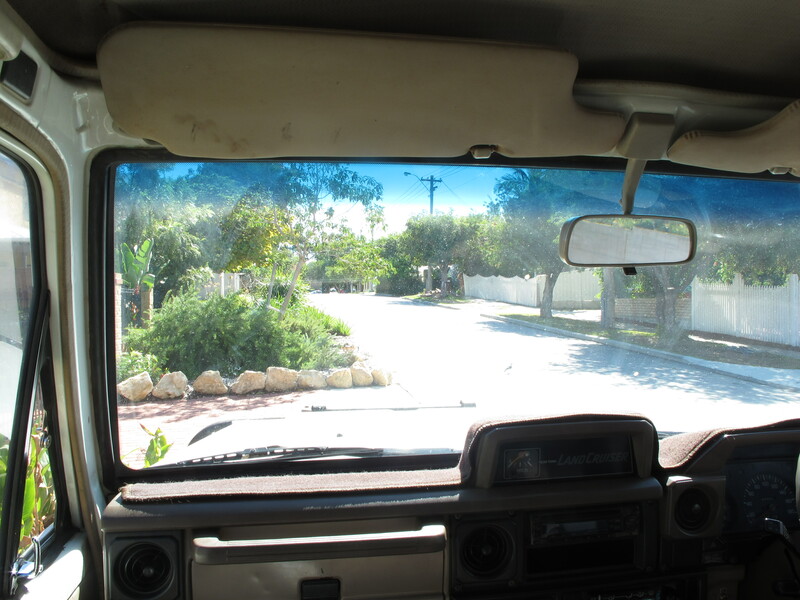 The added security of not being able to see into the car when they are drawn is also a bonus. This entry was posted on April 16, 2010, 12:19 pm and is filed under Make. You can follow any responses to this entry through RSS 2.0. You can leave a response, or trackback from your own site.